Safety razors have been around since the early 1900’s. Gillette was the first safety razor ever to receive a patent. Gillette is hard to find nowadays unless you purchase it directly from the factory. Many people purchase the Merkur since it is easily found. A safety razor was invented so people could shave at home instead of going to the barber shop every time they needed a shave. Gives you a close shave as if you are shaving with a straight razor, but this razor is much safer than a straight razor. 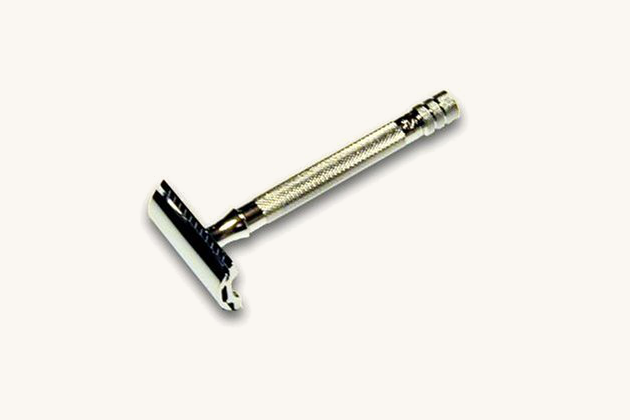 The Merkur safety razor is equipped with a long handle. The length of the handle is perfect for someone that has large hands and finds it a little difficult to shave with a regular razor since the handle of a regular razor is much shorter. The blade is a lot sharper than a regular razor. The blade sharpness is more like a straight razor. Made of high-quality metal to keep it from rusting or corroding if you prefer to shave in the shower. The entire razor is made of high-quality metal including the head. 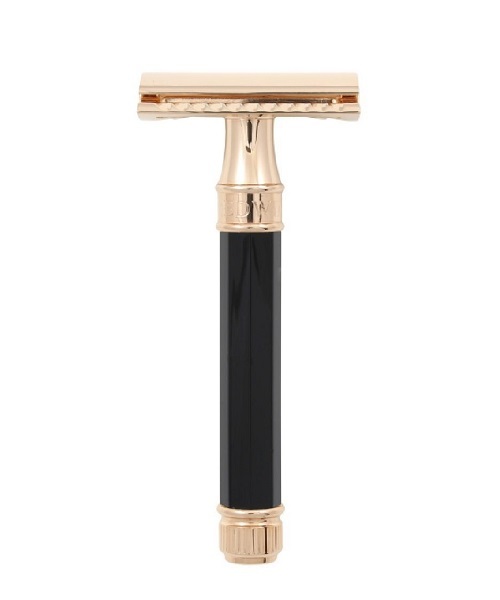 The long handle helps to balance the weight, so it makes for a more comfortable shave. This razor is not for only men. It can be used on a woman’s sensitive areas. Will last you ten times longer than a disposable razor. 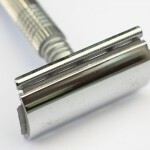 You will save money using a safety razor. Purchasing blades every few months will be cheaper than purchasing regular razors every few months. The blade is easier for you to change, unlike other razors that have replacement blades. This razor has a sharp blade so it will not leave bumps on you like waxing and shaving with other razors. If you have sensitive skin, you know that it is hard to find a razor. This razor is good for sensitive skin. This razor does not have an adjustable blade. It is perfect for a close cut, but this razor is not for trimming your facial hair. You have to check the blade after you place it in the razor head. The blade will slip making it become crooked. This could cause you to cut yourself. The handle of the razor is metal. This can cause the razor to slip from your hand if you are not careful. It will take you a few minutes to learn how to shave with a safety razor if you have not used one before. The shave you get won’t be different from a modern razor. The Merkur Safety Razor gives you a close shave, but your hair will grow at the same speed. The price you pay for this razor compared to a modern razor will make this less of a bad quality. 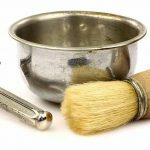 The first safety razor was patented in the late 1800’s, but they did not get popular until 1904 when Gillette got a safety razor with a disposable blade patented. Merkur is a company owned by Dovo. Merkur is mainly known for their safety razors. 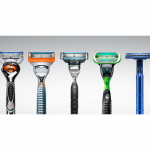 Merkur safety razors have been voted as one of the top razors on the market. You can buy safety razors from Merkur and pick from a range of heads. Merkur has razors with the newer heads that are equipped with replaceable blades, or you can choose a Merkur Safety Razor with a classic head. 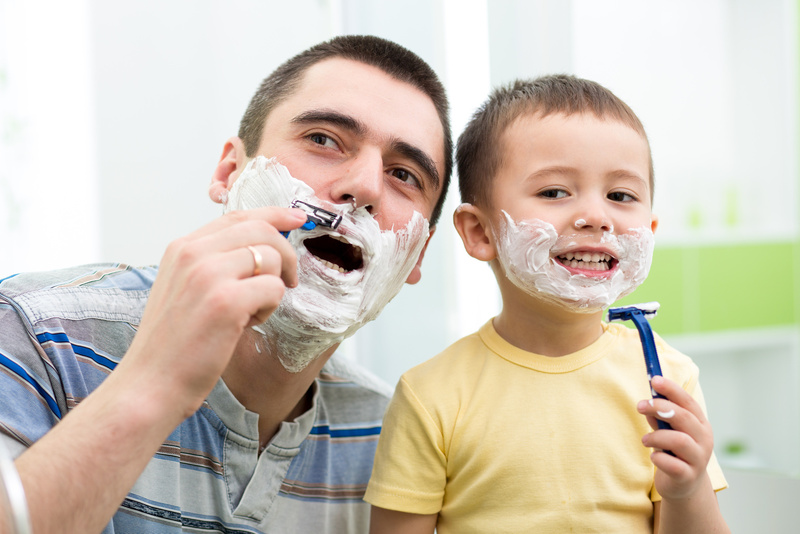 The company offers a variety of supplies whether you like a clean shave or just trim your beard. Men have counted on Merkur for their shaving equipment for over a hundred years. They are one of the oldest companies that offer shaving supplies. The Merkur safety razor has a significant range of reviews. Even though it has a good bit of bad reviews, it is still one of the highest rated safety razors on the market. By reading what the buyers said about the product it is a good product overall. It has its flaws like every product does such as you have to learn how to shave with the razor since it is different from our modern razors. Many men have larger hands than women, and most of the modern razors have a small selection when it comes to size. You can choose between travel size or a regular razor. 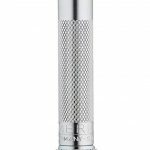 The Merkur Safety Razor has a large handle that will make it easier for men with large hands. Some people think this is a good quality while others believe it takes away from the quality of the razor. This feature depends on the person that will be using the razor. Since Gillette is harder to find I would recommend you are purchasing a Merkur Safety Razor if you are looking into merging from the modern razors to something more classic that will last longer.